Closed end lease offer is $169/month for 36 months/30,000 miles. $1995 due at signing, includes first payment. $450 Bank Fee, $499 dealer fee, Tax, Title, and DMV fees additional. Subject to Hyundai Motor Finance credit approval. Minimum credit score of 700 to qualify. Security deposit waived. Disposition fee of $650 due at lease end. Two or more available at this price. 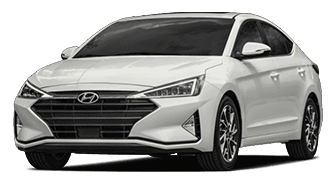 Offer based on 2019 Elantra SE with Automatic Transmission, Stock #190352/190221, Model Code 48412F45, MSRP of $19,230, Residual of $9,230. Closed end lease offer is $199/month for 36 months/30,000 miles. $1995 due at signing, includes first payment. $450 Bank Fee, $499 Dealer Conveyance Fee, Tax, Title, and DMV fees additional. Subject to Hyundai Motor Finance credit approval. Minimum credit score of 700 to qualify. Security deposit waived. Disposition fee of $650 due at lease end. Two available at this price. Offer based on 2019 Sonata SE with Automatic Transmission, Stock #190103/190084, Model Code 284H2F4P, MSRP of $23,360, Residual of $12,381. Closed end lease offer is $259/month for 36 months/30,000 miles. $1995 due at signing, includes first payment. $450 bank fee, $499 Dealer Conveyance Fee, Tax, Title, and DMV fees additional. Subject to Hyundai Motor Finance credit approval. Minimum credit score of 700 to qualify. Security deposit waived. Disposition fee of $650 due at lease end. Two or more available at this price. 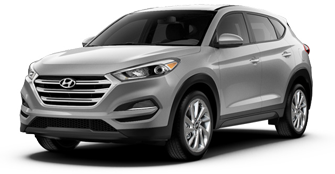 Offer based on 2019 Tucson SE with AWD and Automatic Transmission, Stock #190389/190422, Model Code 84412A45, MSRP of $26,065, Residual of $14,857.